Thank you for your interest in one of CarHeroes's online offerings. 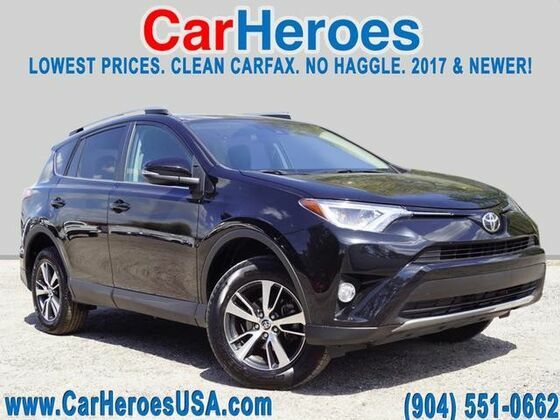 Please continue for more information regarding this 2018 Toyota RAV4 XLE with 23,203mi. This Toyota includes: BLACK, FABRIC SEAT TRIM Cloth Seats RADIO: ENTUNE DISPLAY AUDIO HD Radio CD Player Back-Up Camera AM/FM Stereo Satellite Radio Bluetooth Connection Auxiliary Audio Input MP3 Player POWER PLUS EXTRA VALUE PACKAGE Keyless Start HD Radio Lane Departure Warning CD Player Lane Keeping Assist Back-Up Camera Luggage Rack AM/FM Stereo Satellite Radio Power Door Locks Keyless Entry Bluetooth Connection Blind Spot Monitor Power Liftgate Auxiliary Audio Input Cross-Traffic Alert Remote Trunk Release MP3 Player BLACK *Note - For third party subscriptions or services, please contact the dealer for more information. * The RAV4 XLE doesn't disappoint, and comes with all the quality and understated opulence buyers have come to expect from the respected Toyota marque. A truly versatile SUV, this vehicle will please even the most discerning of buyers. The look is unmistakably Toyota, the smooth contours and cutting-edge technology of this Toyota RAV4 XLE will definitely turn heads. You've found the one you've been looking for. Your dream car.